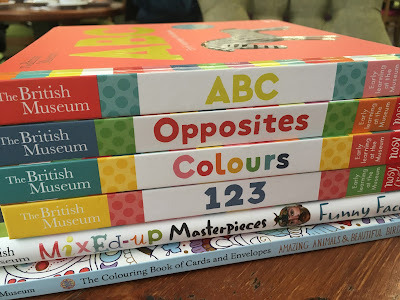 When I began writing this blog, Culturebaby was tiny and I was constantly on the look out for high quality, brilliant books for babies and toddlers to introduce them to art and history. Even 6 years ago there was very little on the history side. 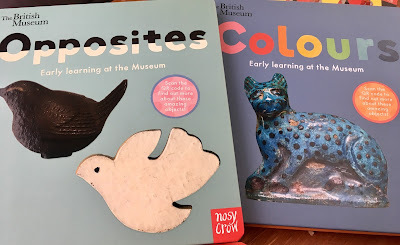 I gathered rather a lovely collection about art (see here) and began to piece together an Egyptian version (here and here) but with the exception of the gorgeous One Blue Hippo: An Ancient Egyptian Counting Book and quirky Tickle Tut's Toes there was little else for toddling archaeologists. 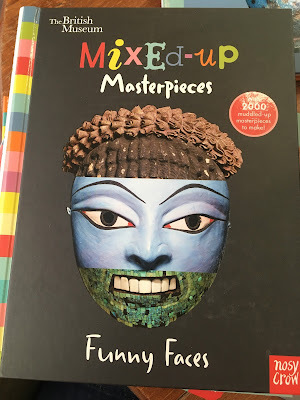 I was therefore delighted to be approached last year to review the stunning progeny of a well matched marriage between The British Museum and publisher Nosy Crow. The resulting exquisite and fascinating books, which unpacked the collections of the museum in a bright and engaging way, really filled a gaping hole in early years provision for miniature museum-goers and their families. The first titles I'd like to talk about form part a series called Early Learning at the Museum. 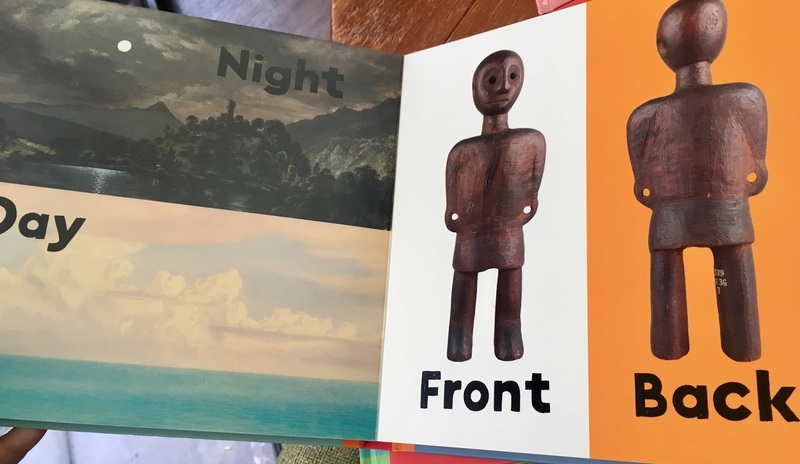 These four sumptuous and well designed board books are full of high quality photographs of items from the BM's collections, showcased against colourful backdrops. Covering Colours, Opposites, 123 and ABC (with others being published since), the books aim to develop the essential areas of learning for little people. I also love that these titles draw from a wide spectrum of the museum's collections from prints and drawings and paintings to textiles, jewellery, pottery and archaeological items. These may be objects found in perhaps lesser-visited galleries which encourage us to look beyond the sarcophagi to other intriguing realms. 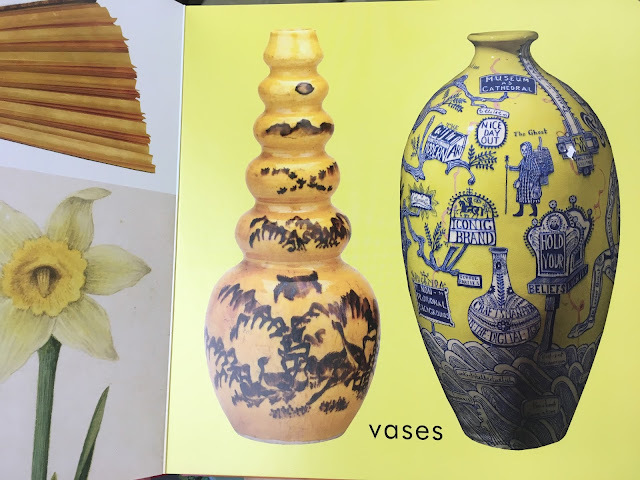 We journey from Japan to America, Africa to Scandinavia on a single page and are encouraged to look at the objects thematically, numerically, for their colourful properties or for their similarities across the ages or geography. Pitt-Rivers-like, we explore collections by theme, or we see wildly different items juxtaposed for their contrasting qualities. The absolute winner of the pack for the girls who are now 4 and 6 is 123, which works from 1 to 20 items. 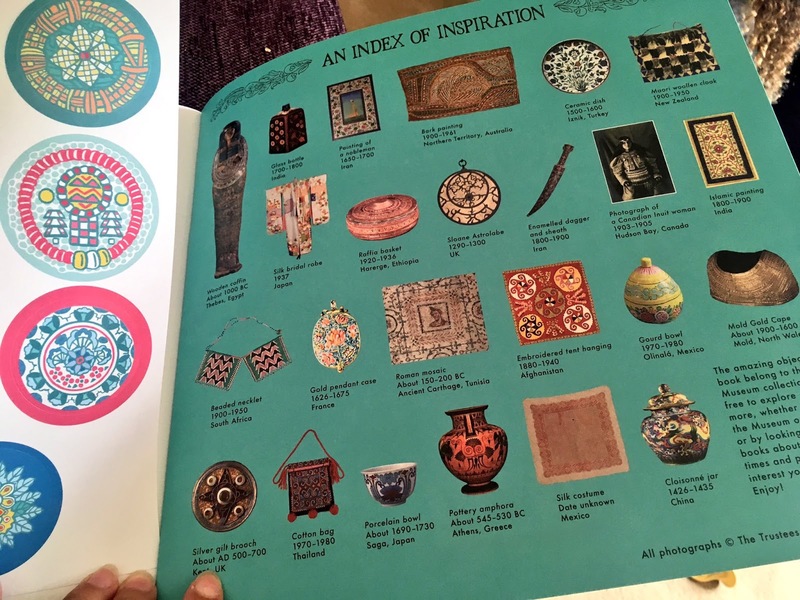 The numerical element of this book allows for a kaleidoscopic array of items on many of the pages and the girls love working through it and selecting which item they would choose if given the option. We also play 'guess the oldest item'. Pages with selections of dolls, keys, bags, hats, spoons, cups and rings hold endless fascination. The titles also come with internet codes for parents linking to further information, and are ripe for use with follow-on activities to discover the items in real life on journeys through the galleries. 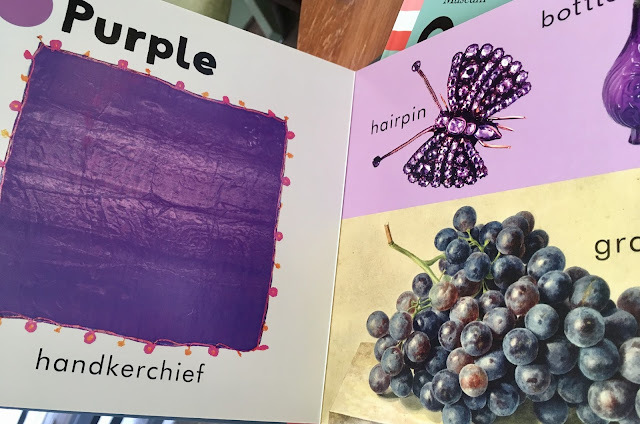 These I-spy activities are so effective and need little preparation (see here for an example with Tate's Matisse exhibition). I simply cannot rave enough about these brilliant and beautiful books. 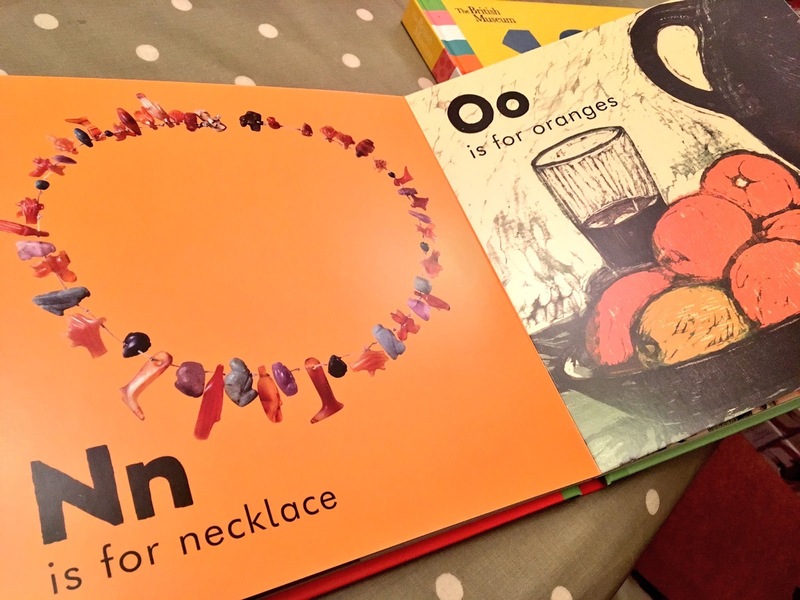 Accompanying the Early Learning Series is a fabulous playbook, that suits a range of ages. Mixed-up Masterpieces again features a set of high quality photographs of faces from the British Museum's collections. 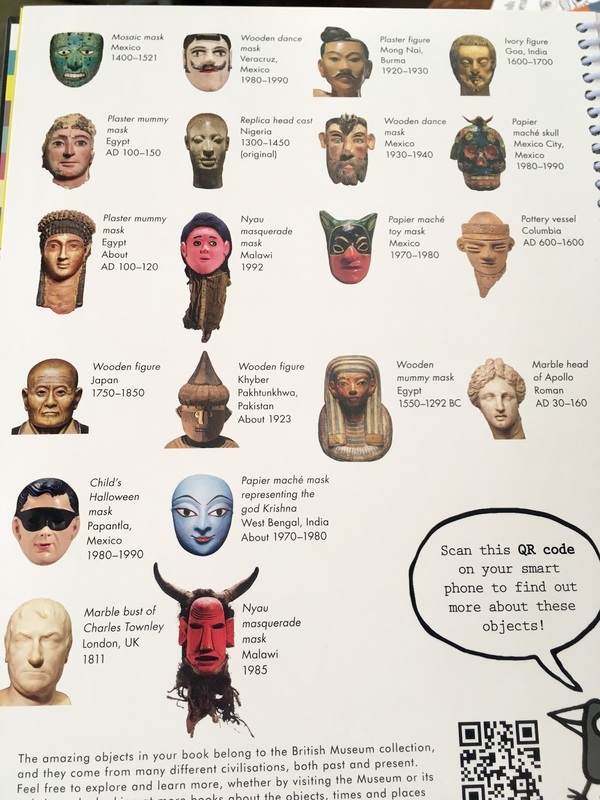 From ceremonial masks to marble busts, Halloween costumes to figurines, again we travel through the collections meeting a range of characters. 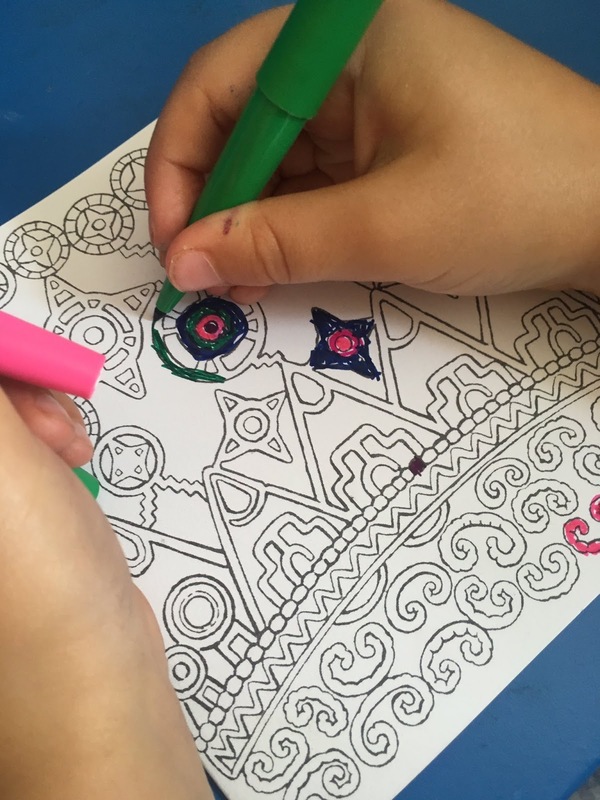 As babies finish with simple black and white shapes and begin to perceive colour (see here for why), they begin to be fascinated with faces. This book would be perfect for this earliest of stages; but it is also a creative puzzle for older children. 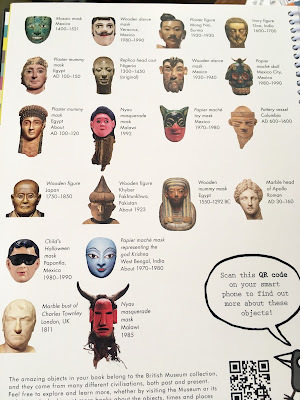 The reader is invited to either discover the correct combination of facial features amongst 2000 combinations, or create their own weird and wonderful combinations. 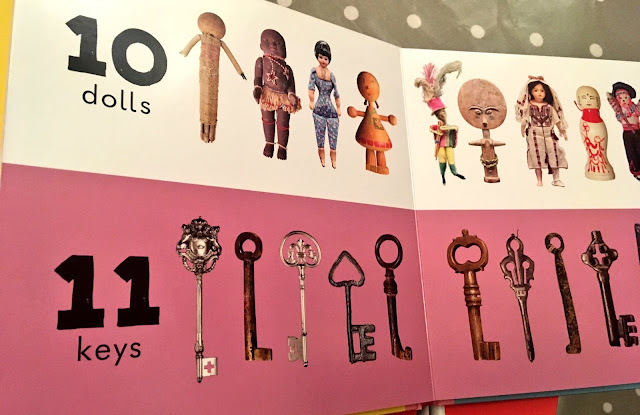 Finally in the early years set is a new Egyptian title to add to our collection: Mummy! by Lerryn Korda. 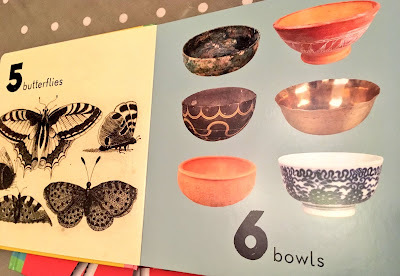 With the simplest of concepts and aimed at the 0-2 range, I thought when it arrived that it might be a little young for almost 4 year old Culturetot, but she's really taken to it. A little Egyptian girl can't find her Mummy and embarks on a journey on the banks of the Nile to locate her. Along the way she encounters a host of different Mummies - from animal to embalmed - and finally finds her own. 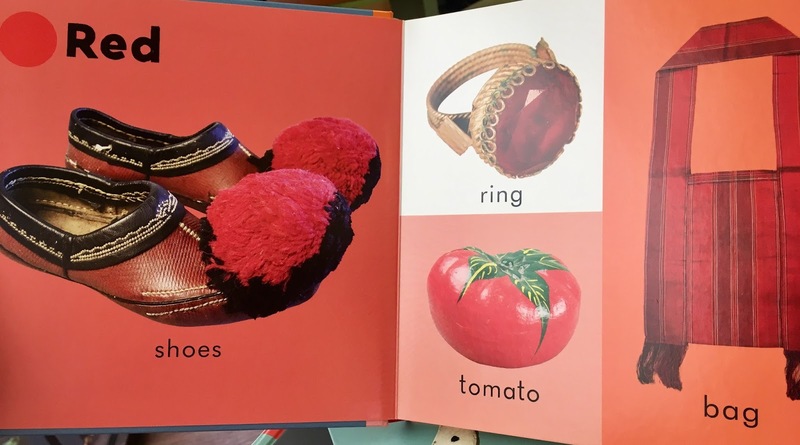 The loveliest feature of this little Board book is that it includes hieroglyph translations of a number of the key words, introducing the tiniest of readers to this most intriguing of languages. 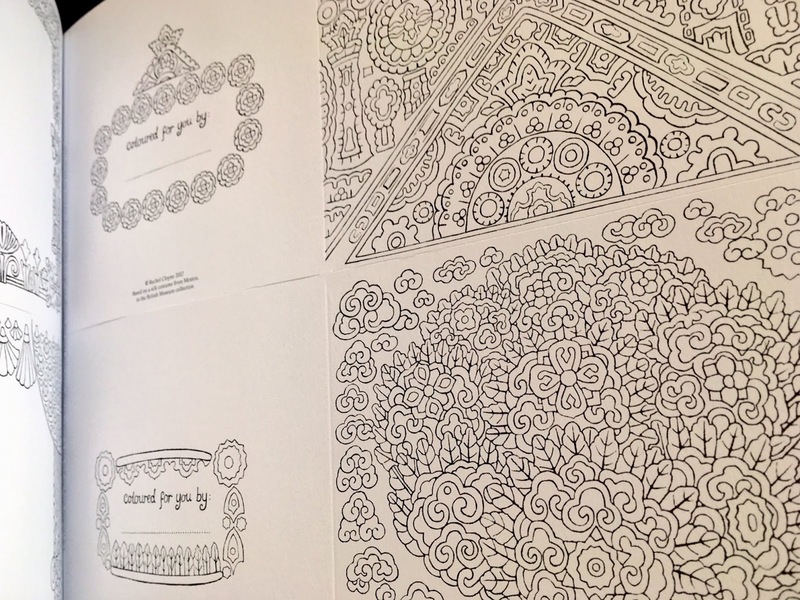 For older children (as well as adults) there is also a beautiful set of several creative colouring books. Again inspired by the collections of the museum and with an inspiration guide at the end, these have been one of the most successful activity books for the girls as they loved the idea. 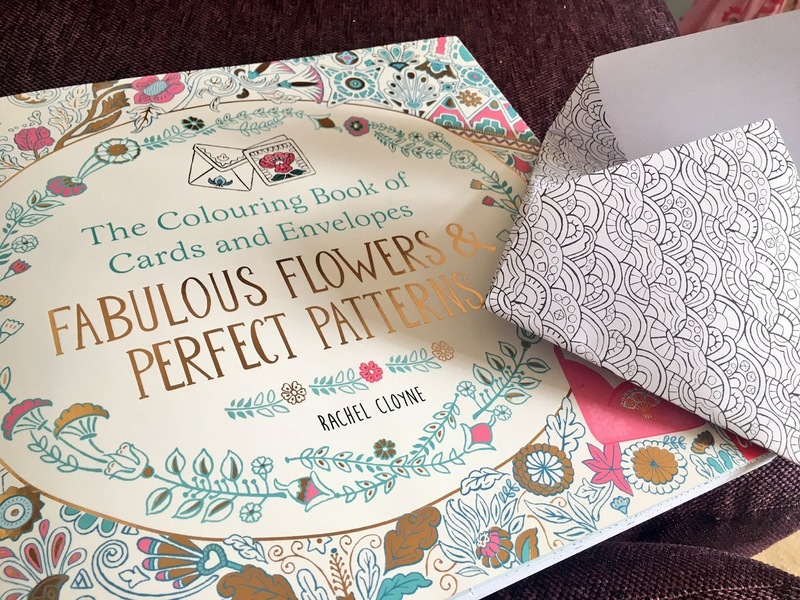 Containing greetings cards paired with an envelope to construct, colour and decorate, and a sticker to seal it all, the girls were able to use this resource to make their own birthday and thank you cards for friends. Given the bonkers prices of greetings cards these days, these are also both excellent value and produce a rather more unique offering from the girls to any recipient. They even have a cute little box for them to sign "coloured for you by..."
Disclaimer: Nosy Crow is working with the British Museum in an exclusive partnership to create a broad range of children’s books to sell to the UK trade and beyond. The British Museum is ‘a museum of the world, for the world’. 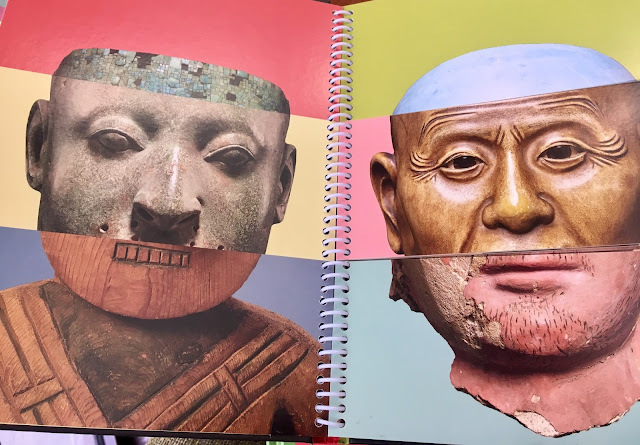 The books draw on the British Museum’s internationally recognised brand, its unparalleled collection of objects and its world-class expertise. 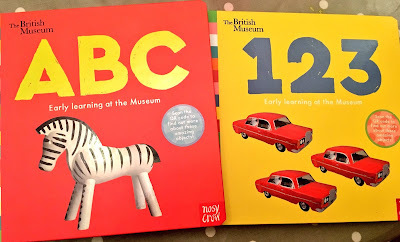 We were sent copies of these books for the purposes of a review. 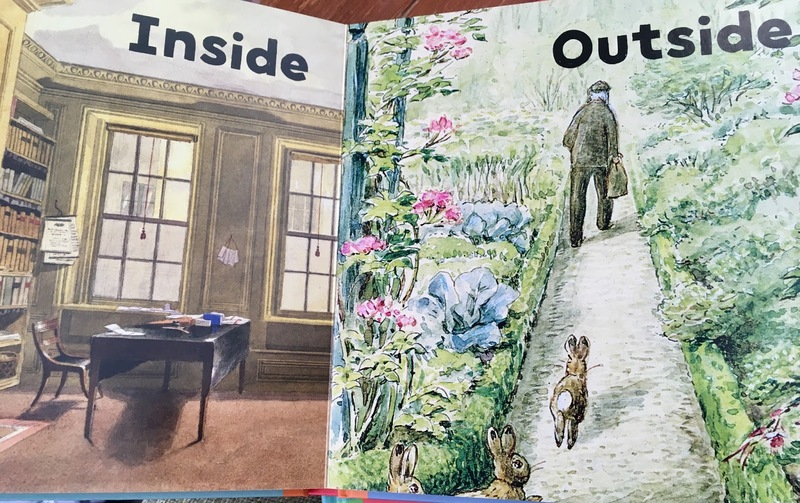 All views are very much our own and we only ever review books we love and recommend.